Melatonin helps our body know when it's time to go to sleep and when it's time to wake up. 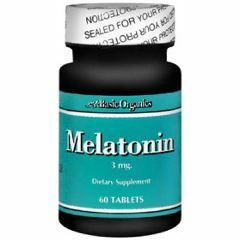 The body naturally releases melatonin in response to changes in light, using this product makes melatonin levels rise at night. It can be used to treat those who have difficulty falling asleep and/or staying asleep. Directions:Take 1 tablet 20 minutes before bedtime. Size and color of product may vary. From the first night I used this, I felt like my sleep was deeper and more relaxed. Not all of my problems are solved, but there has been a clear improvement. Can I get melatonin 5 grams?